Emma (ranked #2) -This name is popular in the fictional world, as well as the real one. Think Emma Swan (Once Upon a Time) and Emma Frost (X-Men). Now over 200 years old, matchmaker Emma Woodhouse shows us that it’s attractive to be confident. In a time when it was unusual to do so, Jane Austen’s famous protagonist insists she will never marry, and, though she does in fact accept a proposal, she stays true to herself by holding out for true love. Isabella (ranked #3) – Jane Austen assigned this name more than once (including to Emma’s older married sister). Yet, it is Isabella Thorpe from Northanger Abbey who leaves the stronger impression. Flirtatious and beautiful, Isabella is the friend no other girl wants too close to her man. If alive today, she might go by Isabel or Bella. Emily (ranked #5) – Fiercely independent Emily Bronte, author of Wuthering Heights, gave us one of the most haunting, but strangest, love affairs in history. Baffling to researchers and readers alike, this talented writer never married and in all probability never even had a love affair. She could have fooled us! Grace (ranked #20) – Even a secondary character, especially when she is mentally-disturbed Grace Poole from Jane Eyre, intrigues me enough to place her on this list. 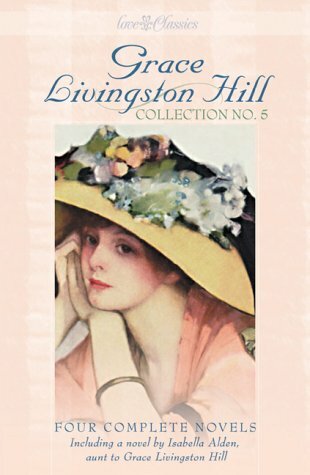 However, author Grace Livingston Hill deserves first place for creating an entirely new genre of writing known as the Christian romance and for writing well over 100 novels in the early- to mid-1900’s. She understood well the meaning of grace. I like to think that at least some of the many names that remain popular decades and even centuries later can be attributed to the writers and characters of our favorite books. Perhaps Anne Shirley said it best: “I don’t believe a rose WOULD be as nice if it was called a thistle or a skunk cabbage” (L. M. Montgomery, Anne of Green Gables). I prefer classic names when I name my characters. I have noticed a lot of girls named Bella. But some of them were named after Bella Swan in the Twilight series. I’e always been partial to the name Catherine (as in Catherine Morland in Northanger Abbey).